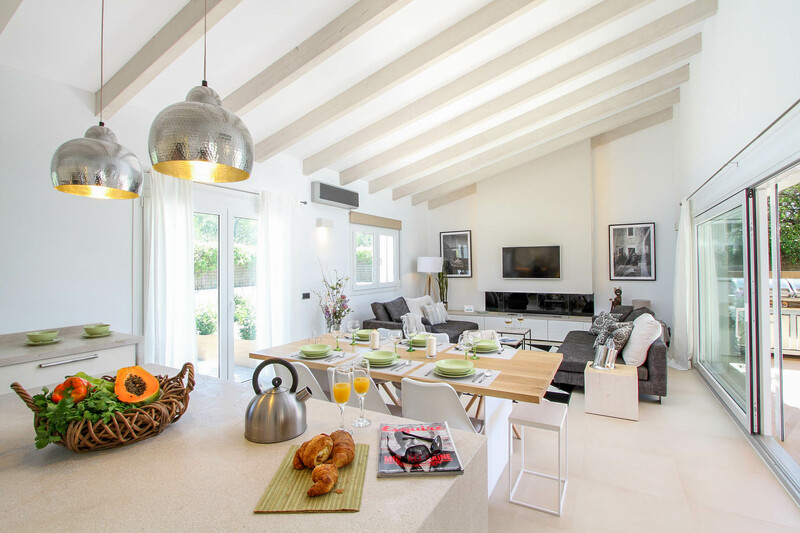 A beautiful, chic hideaway, situated just outside of the historic town of Pollensa in north Mallorca, this exceptionally stylish villa is luxurious yet practical for family getaways. 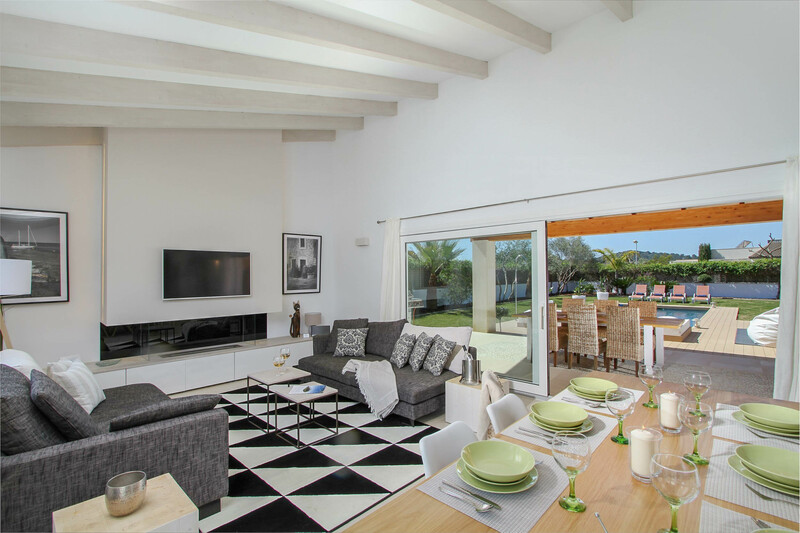 On one single storey, this plush villa brings the outside in with its floor to ceiling patio doors that open out from the stunning open-plan lounge, kitchen/dining area onto the covered terrace overlooking a private swimming pool. 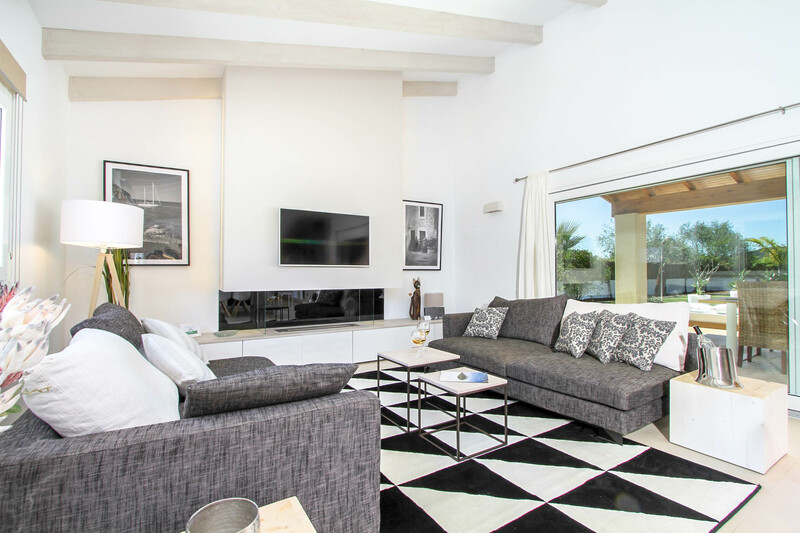 Filled with natural light, the white walls, slanted white beams and black and white furnishings make for a cool area to relax in front of the plasma TV or dine at the modern dining table. 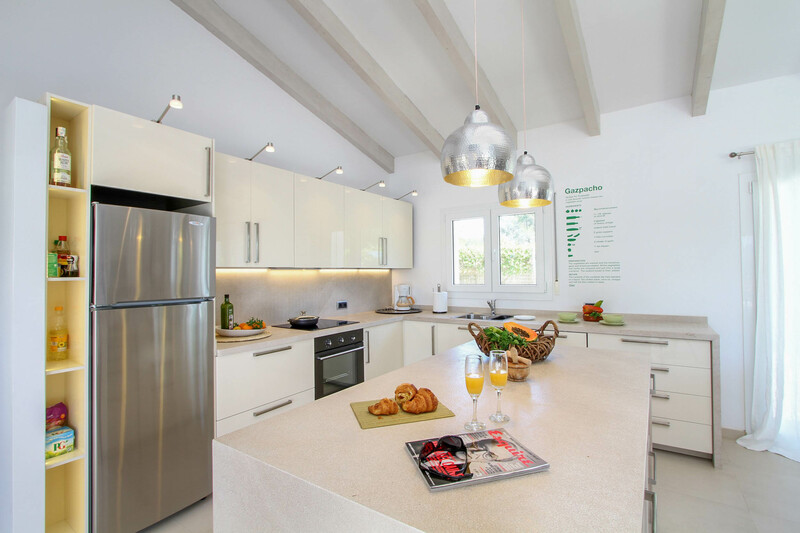 The clean white kitchen is fully fitted with all the mod cons you could need, along with a fantastic American fridge freezer where there’s plenty of space for the all-important beers, tonics and wine to be kept chilled. 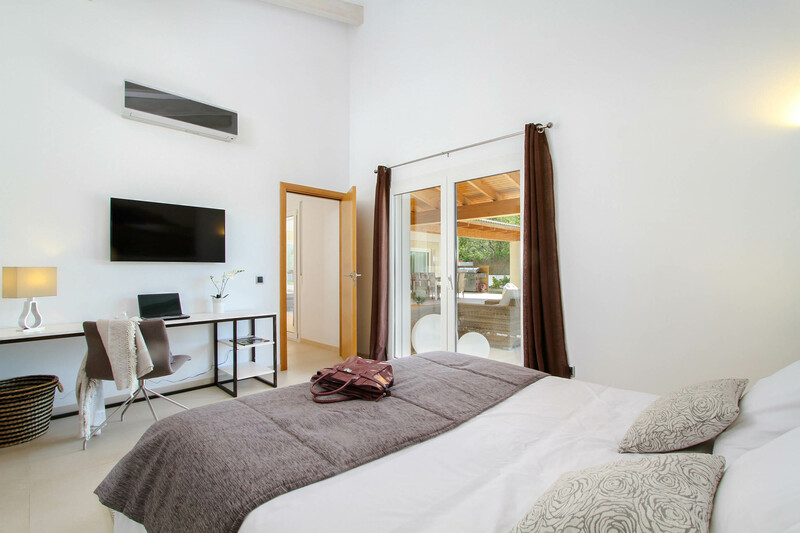 There are three bedrooms, offering guests luxury and comfort. 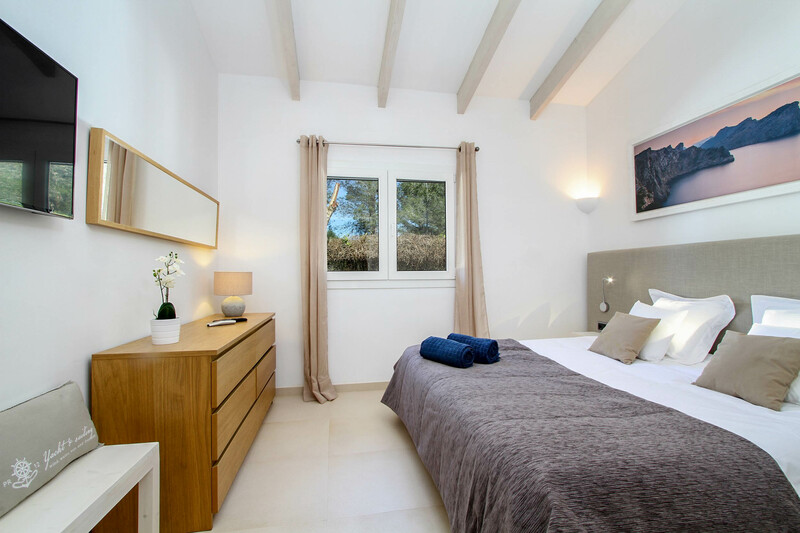 The master bedroom has high ceilings, creating a light and airy ambience. 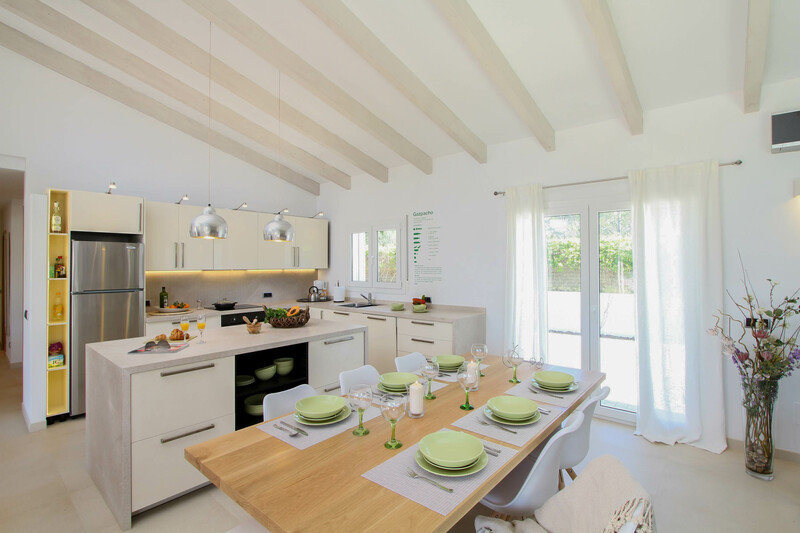 The French doors provide private access out to the covered terrace and bring in plenty of light. The big double bed, overlooking the wall-mounted plasma screen, offers a place to both relax and sleep. 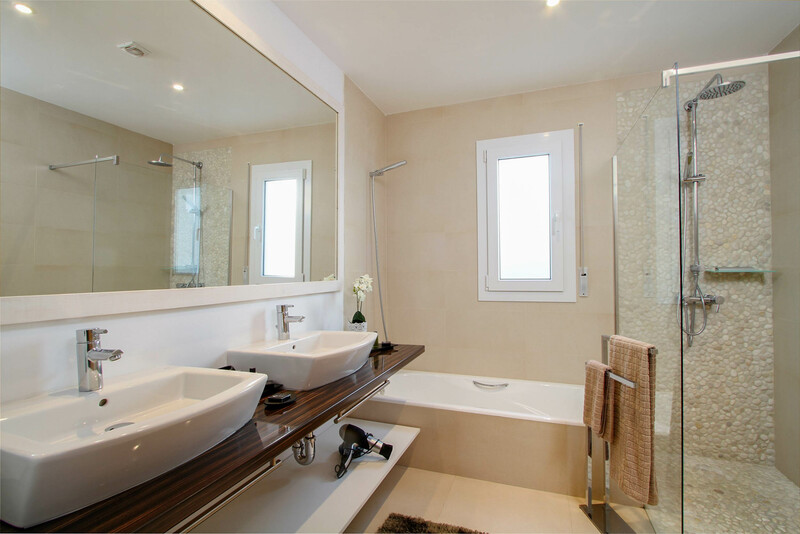 The ensuite bathroom is brilliantly modern, with a double sink, walk-in shower and bath/shower. The two other bedrooms are twin rooms, with quirky child-friendly décor younger guests will love. 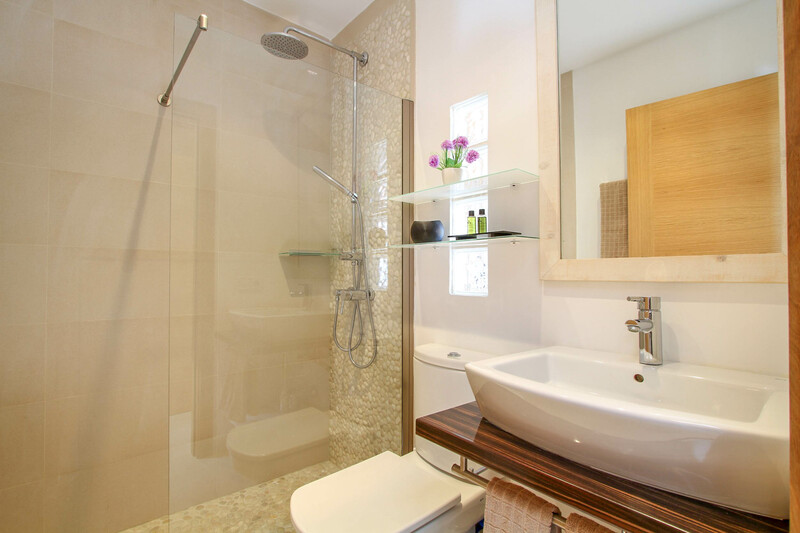 They’ll be kept entertained too as both twin rooms also have plasma TVs and they ideally have their ensuite bathrooms. Outside, you’ll fall in love with the magical garden and pool area, which is beautifully lit at night so the lounge and dining areas can be used well into the night. The covered terrace which runs the length of the villa features an outdoor dining table and stylish outdoor lounge furniture, where guests can recline with a book while enjoying the views. 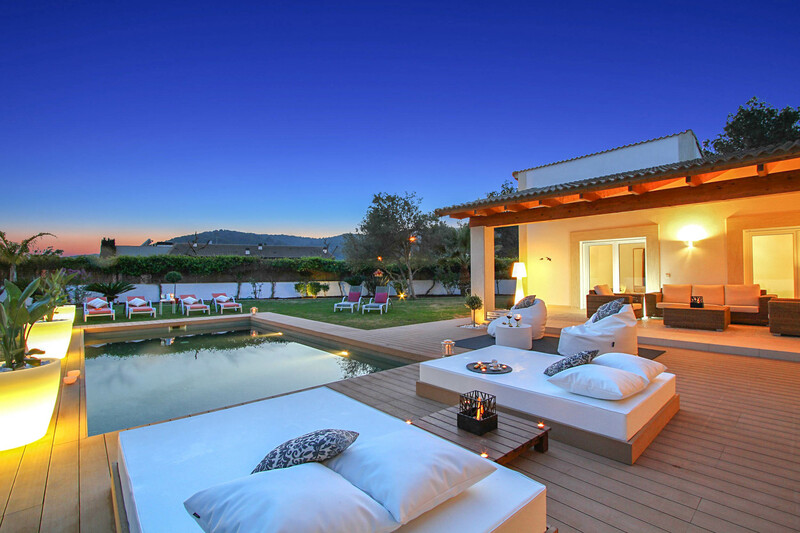 There is also a barbeque area, where you can cook up an al fresco dinner under the Mallorcan sun. 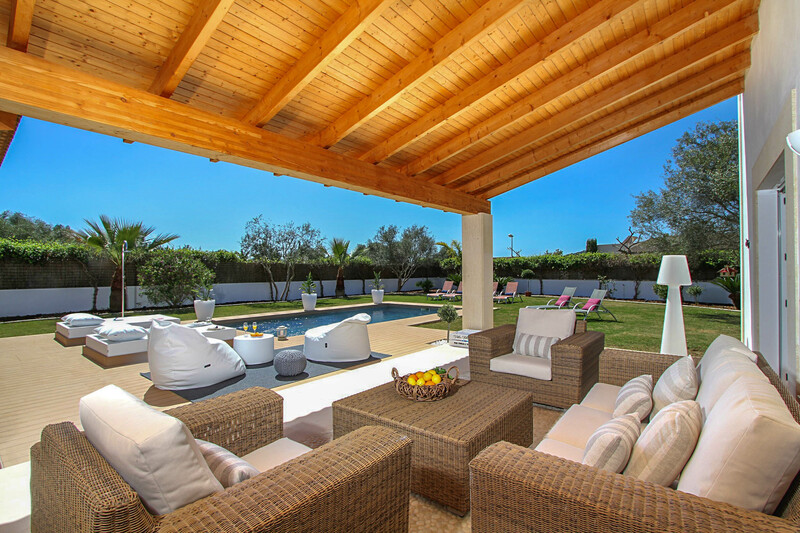 The private swimming pool is surrounded by modern decking, and not only are there sunbeds to enjoy a spot of sunbathing on, but there is also the brilliant addition of white bean bag chairs and luxury cushioned sun loungers. Parents will be able to relax knowing children well entertained, with the wooden playhouse and table tennis being the perfect place for children to let off steam. 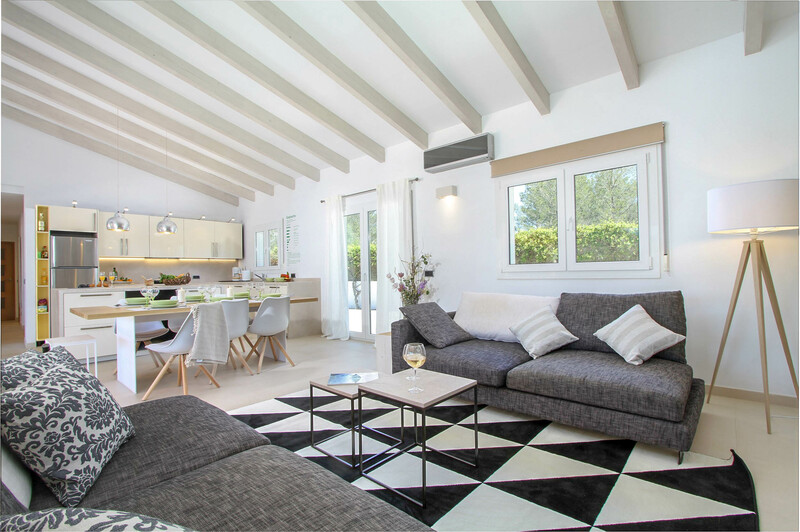 This fantastic family villa is ideally located on the outskirts of one of Mallorca’s prettiest, historic towns, Pollensa. The city is one of Mallorca’s most attractive towns due to the winding cobbled lanes with historic architecture and an impressive main square, lined with cafes, restaurants and bars, which make this ancient town a beautiful spot to explore or head out for a meal. Peurto Pollensa was once a fishing village but now one of the most popular coastal towns in northern Mallorca. With a beautiful large marina and a horseshoe bay with a stunning mountain backdrop, the resort is wonderfully picturesque and filled with bars and restaurants. The beach is long and wide and furnished with sun loungers and many cool beach bars.